Signs You Are Telepathic - UYT021 | Find Out If You Have Telepathy! Do You Have A Psychic Ability??? Do you feel you display signs you are telepathic, one of the really interesting psychic abilities? Are you inclined to dismiss déjà vu experiences? Do you regard the occasion of your accurate intuitive occurrences as just coincidences? We all have intuitive gifts and many of us actually have enhanced psychic abilities of some kind. The interesting thing is that we usually do not recognize them. Mostly it is someone close to us that first notices signs of our psychic behavior. Occasionally people who demonstrate psychic behaviors are thought of as mad or even possessed. Completely untrue! Everyone has some variety of psychic behavior, but we just don’t or can’t distinguish the symptoms as a spiritual gift so we have a tendency to ignore them. Occasionally we do understand we are different but because of someone else’s reaction to an incident, they convince us it isn’t real. Take a child with an imaginary friend. This friend could be a spirit. Sooner or later the child is made to believe the friend does not exist so they turn off their ability. Then sooner or later they will begin to have their psychic abilities rouse once again and be very surprised or even fearful. What Are Top 10 Signs You Are Telepathic? What is telepathy and what are the top 10 signs you are telepathic? When you think about Telepathy do you imagine a mind reader of sorts? 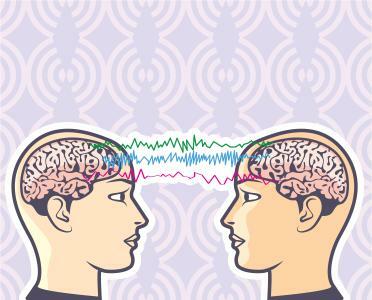 Telepathy is far more than just mind reading. It is the ability to communicate without any form of spoken language or body signals. More individuals are experiencing this wonderful telepathic power. Telepathic communication through dreams is also very common, especially within parent and child relationships. I am certain that you have heard of this if not experienced it yourself. A mother may have been dreaming about a child who is distressed in some way. Telepathic communication between lovers is not uncommon as well. Have you ever heard yourself say to a spouse or partner “You must have been reading my mind” or some variation of that? The tough part of this psychic telepathy superpower is not learning how to receive telepathic messages but to trust that actually are doing so. Do you often have the same thoughts at the same time as those you are close to? Do you have a habit of voicing what others are thinking? Are you skilled at helping those who are tongue-tied express what they want to say? Are you fabulous at non-verbal communication? Would you say you are having a strong instinct about babies and their needs? Do you have a depth of understanding of others that most people don’t share? Is it easy for you to influence or persuade others about your perspective? Can you ‘read between the lines’ when someone is talking to you or telling a lie? Is “I was just thinking that” a common phrase for you or people around you? Can you tune into loved ones who are far away and instinctively know how they are? Tuning In – For some individuals tuning in to messages may be difficult. Telepathic signals are subtle and easy to ignore. Becoming Overwhelmed – For someone whose ability is particularly well developed or where the ability opens rapidly without them understanding what is happening can become overwhelmed. It may be like being surrounded by a sea of information and conflicting signals. Feeling Crazy or Weird – Imagining that you can detect the thoughts of others or broadcast your thoughts to them is a sign of schizophrenic delusion. So most sane people having these experiences ignore or shut them down. With regards to Science and Telepathy, there is a growing awareness of its validity in the scientific community. Studies have shown that plants and animals communicate through a form of this amazing ability. There is also actual even evidence of telepathic communication in people. Consider twins for example. The top 10 signs you are telepathic. The difference between broad and narrow band telepathy. About the subtle signals of truth beneath all lies. Join us on this episode of Unlocking Your Truth, Signs You Are Telepathic, and see if you recognize any of them in you. Unlocking Your Truth is my weekly radio show where we discuss all things metaphysical like Signs You Are Telepathic! And much more! The show airs on CIVL 101.7 FM at 7-8PM (Pacific Time) every Tuesday evening or live-stream the show at CIVL.ca. During each of our Unlocking Your Truth episodes, we also answer email questions from our listeners (click here to submit a question) as well as occasionally do readings live on air for our call in guests. You can call in 604.504.7441 ext 4142 and ask anything you want. Hi Lucy – I have a community Facebook group for all School of Intuition Students. You can join once you have taken a course or purchased a meditation. The Unlock Your Intuition course would help you a lot; as would my new book about psychic abilities, which I just completed and will publish soon. I don’t recommend using your abilities to purposefully disturb other people. I’m a mother n I’m telepathic with both my adult children. I thought at first this is weird it happens to often with me n my youngest most so often it’s normal to us n leaves other people who don’t really know us kind of speechless. I’m glad I’m not alone or crazy ty. Pingback: The Power Of Your Thoughts - Upside Down Thinking | You Create Reality. I feel that I am telepathic. When someone stares at me I hear their voice. I don’t hear voices all the time. It’s only certain people when we look at each other. It’s like I can read their mind. I have also talked to my grandpa in my dreams. I felt at first I was going crazy, but now I know what it is. I also see orbs or flashing lights sometimes. Thank you for sharing your experiences. It sounds as though you might also be clairaudient.